On Tuesday afternoon, President Barack Obama’s former National Security Advisor Susan Rice appeared on MSNBC with host Andrea Mitchell to answer questions about allegations that had emerged earlier in the week to suggest that she requested the “unmasking” of the names of Donald Trump’s campaign and transition teams in intelligence reports, which allegedly had nothing to do with national security, and that she had compiled spreadsheets of those names. Here are the highlights of Mitchell’s interview with Rice, which took up the first quarter-hour of Mitchell’s show. 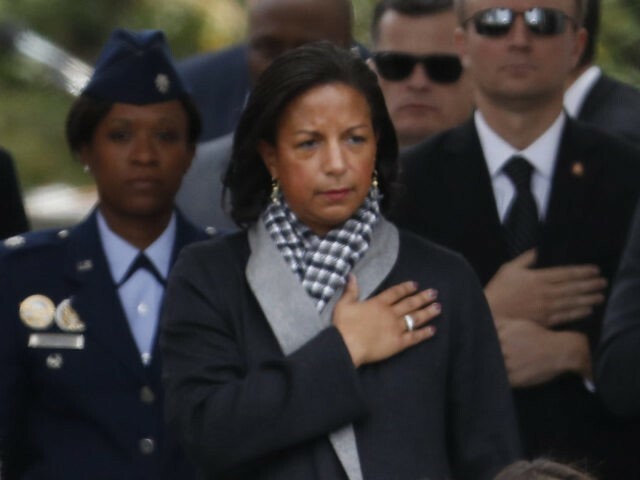 Rice admitted asking for the names of U.S. citizens in intelligence reports to be “unmasked.” Rice said: “There were occasions when I would receive a report in which a U.S. person was referred to. Name not provided, just U.S. person. And sometimes in that context, in order to understand the importance of the report, and assess its significance, it was necessary to find out, or request, the information as to who that U.S. official was.” Rice argued it was necessary for her and other officials to request that information, on occasion, to “do our jobs” to protect national security. Rice admitted that the pace of intelligence reports accelerated throughout the election. She said she could not say whether the pace of her “unmasking” requests accelerated, but she said there was increasing concern, as well as increasing information, relating to the possibility of Russian interference in the election, particularly after August 2016. Rice reiterated that President Obama never tapped Trump’s phone. “Absolutely false … there was no such collection [or] surveillance on Trump Tower or Trump individuals … directed by the White House or targeted at Trump individuals.” She did not deny that there might have been some surveillance by other agencies, however. She said it was impossible for the White House to order such surveillance, but that the Department of Justice could have done so. Rice would not say whether she would be willing to testify on Capitol Hill before Congress. “Let’s see what comes. I’m not going to sit here and prejudge,” she said. But she insisted that the investigations into Russian interference in the presidential election were of interest to every American citizen, and should be followed wherever the evidence leads.